​November is the month when the Chapter’s leadership begins to lay the foundation for the next year. The time of year is also an excellent opportunity for all of us as members to think about how we will participate in, and benefit from, the Chapter next year. November sees the announcement of new leadership positions through the presentation of the slate of candidates to join the Executive Committee. These members will, I am certain, gain a tremendous amount from participating in their leadership roles, and I am grateful for their commitment to the Chapter and their willingness to dedicate time and energy to the Chapter’s future success. I also want to take this opportunity to thank the nominating committee for all they did to provide such an excellent slate of candidates. November also sees the presentation of the Chapter’s budget for the coming calendar year, an event that reminds me of the importance of our Business Partners, through whose support we enjoy broad programs of education, networking and knowledge sharing, from which we can all derive great value. In addition, the budget demonstrates the efficient and effective management of our Chapter by our professional staff and Chapter leadership. As you might agree from your experience in your own organizations, budgeting is as much art as science, and requires a careful balance between resources, obligations and objectives. As members we are fortunate that consistently, each year, the Chapter budget achieves that balance. And, November brings the start of considerations for succession planning in our Sections, Co-Chairs begin to think of their progression to Section Chair, and conversations are initiated among Section members to identify the new Co-Chair. For those of you who are active in your Section, now is a great time to indicate your interest in a leadership role, the time commitment is modest, but the knowledge and experienced gained can be very valuable. While my message so far has been focused on leadership, November is a useful time for all members to think about what the Chapter will mean to them next year, and particularly how they might participate in it. We are all short on time, and we are all challenged with competing priorities and looming deadlines, so, perhaps our goals for our ALA activities should be measured and incremental. Your initial goal could be just to read the newsletter each month, or to attend one more meeting or event than this year, perhaps to develop a connection with one other member or business partner, or to recommend a speaker. In thinking more about a couple of those goals, I have observed that member connections are often an aspect of the Chapter that provides great value, and while a shared interest is often discovered at a networking event, the List Serv questions and responses can be a source of common concerns or challenges. The member who posts a question could be seeking the solution you just implemented or be facing the same challenge that you’re wondering how to address. In a similar way, speaker recommendations can come from unlikely sources yet deliver a new insight or strategy to the Chapter. At my firm’s recent attorney retreat two of the speakers sparked my interest in their potential for the Chapter, and I am certain that many of us encounter speakers who entertain and impress us, and who could expand the knowledge and abilities of our fellow members. I hope that this November you’ll find a minute or two to consider your membership of the Chapter, to appreciate the value that membership brings, and perhaps to set a measured and achievable goal for yourself to increase that value through acquiring greater knowledge and forging stronger connections in 2018. Since the introduction of the America Invents Act in 2012 no less than seven countries have introduced new or amended Patents Acts. There are at least a few reasons for what may seem like a constant announcement of new rules and regulations. Some countries may be aiming to resolve outstanding issues in the local patent law. Some countries may be attempting to harmonize local patent law with country law. Still, others may be looking to improve local examination by imitating the examination process (and hopefully the result) of more well-regarded patent examination departments. Whatever their reasons, clearly, patent offices around the world have seen the need to make updates to both process and law. These updates have made it incumbent on patent practitioners everywhere to keep up with the changing face of IP around the world. Consider two recent examples of expected changes and what they could mean for those who work with patents. Due to various delays, especially in the Life Sciences area, the Brazilian Patent Office (INPI) has suffered from a severe backlog of patent applications for substantive examination. A backlog that has reached truly epic proportions! As of 2017 an applicant may wait as long as 13 years from the date of filing before substantive examination of a pending patent application even begins! Recognizing that the situation has gotten a “little” out of hand, the INPI and the Brazilian Government are taking the following steps to resolve the delay. In April 2017 an agreement was reached between the INPI and the Brazilian National Agency for Sanitary Surveillance (ANVISA) (roughly the equivalent of the United States Food and Drug Administration) regarding the examination of pharmaceutical patent applications. As of 2015 there were about 195,000 pending patent applications in Brazil awaiting examination, with a significant number of these being pharmaceutical patent applications. Previously, there was a delay for examination of these applications because ANVISA insisted on examining the applications first before moving them to the INPI for normal substantive examination. More often than not, this process resulted in many applications remaining with ANVISA without ever being substantively examined by the INPI. The new agreement, now in force, seeks to streamline this examination process by more clearly defining the examination roles of both ANVISA and the INPI. In a further effort to reduce the backlog, the INPI is now considering a simplified procedure for the allowance of some patent applications. The proposed simplified procedure calls for the automatic allowance of qualified patent applications, without substantive examination, provided that they meet certain criteria. It should be noted that certificates of addition, divisional, and pharmaceutical applications will not be eligible for this procedure. Finally, a recent Pilot Program establishing a Patent Prosecution Highway agreement (PPH) was reached between the European Patent Office (EPO) and the INPI. The PPH allows for accelerated examination of a Brazilian patent application after the grant of a related European patent application. The agreement is limited to Medical Technology and Chemistry inventions, with a further limitation of only 300 patent applications per year. Nevertheless, this agreement joins established PPH agreements the INPI has with the United States and a number of Latin American countries. These steps, all taken in 2017, signal the Brazilian Patent Office’s willingness to amend their Patents Act to address issues facing patent applicants. Without doubt, these and other changes bear monitoring. PRIORITY CLAIMS – When priority is claimed in a Canadian patent application, the current practice does not require that a certified copy be provided to establish proof of priority. However, the amended Rules and Patent Act will now require that a certified copy of the priority document be provided. It is noted that this requirement is not likely to affect Canadian national phase patent applications, since PCT applications already require the submission of priority documents during the international phase. REQUEST FOR EXAMINATION AND RESPONSE TO OFFICE ACTION DEADLINES – The deadline for Requesting Examination is slated to be reduced from 5 years to 3 years from the established filing date. The due date for responding to office actions will also be reduced from 6 months to 4 months. REINSTATEMENT PROCEDURE – At present, any abandoned Canadian patent application may be reinstated as a matter of right (no questions asked) no later than 1 year from the date the application first became abandoned and subject to payment of a reinstatement fee. As a result of the executed amendments to the Patent Act and Patent Rules, reinstatement as a matter of right will be revised. In order to reinstate an application that has gone abandoned by failure to take some action (i.e., file a response to an office action, pay an annuity etc…) it will now be necessary to show that “due care” was taken to avoid abandonment. This more stringent standard, for what was an automatic request, will surely affect the way most patent practitioners treat pending Canadian patent applications. The question of “should I really let this patent application go abandoned?” will now be a little more difficult to answer in Canada. These are just some of the expected changes once the Canadian Patent Act and Patent Rules are finally amended. Brazil and Canada are not the only countries/jurisdictions that will be making changes in the near future. Taiwan, Mexico and the European Patent Office are also slated to make major changes to their patent laws in the coming year. If you keep watching, you will see as the IP world changes right in front of you. November 23: In the United States, Thanksgiving is always celebrated on the fourth Thursday of November. The day was set in stone by President Franklin D. Roosevelt in 1939 and approved by Congress in 1941. Thanksgiving Day can be traced back to the 1621 celebration at the Plymouth Plantation, where the religious refugees from England known popularly as the Pilgrims invited the local Native Americans to a harvest feast after a particularly successful growing season. We saw it in 2016, again in 2017, and it’s showing no signs of stopping in 2018: the candidate’s market. With more open legal positions than available professionals, the market has shifted in the candidates’ favor. The legal industry in particular is experiencing the tightest employment market of all, with most areas experiencing a less-than 1% unemployment rate for legal professionals. It’s likely that the next open position at your firm or legal department will have to be filled by an individual who is (1) already employed and (2) needs to be actively recruited away from their current position. There are a few key strategies that legal hiring managers can enact to meet today’s hiring challenges head-on, including speeding up the hiring process so the good candidates don’t get away, knowing the hiring laws coming down the road, and taking a hard look at the salary and benefits package you’re offering new hires. According to the most recent data, the unemployment rate in the legal industry is around 0.6% - extremely low even in comparison to the overall 4.5% unemployment rate most recently reported by BLS. This translates into a major challenge for hiring managers trying to attract the attention of the few legal professionals seeking a new career opportunity. Data shows that the hiring process is taking longer than ever before, with companies taking an average of 23 days to fill a role (and even longer for specialized and high-level positions). You hold your workplace to a high standard and want to invest time in hiring the right individual - but a lengthy hiring process can potentially cause more harm than good. At Adams & Martin Group, when we present a great candidate, it’s a race to see if our client can react fast enough. We lose most of our best candidates if the interview is not scheduled within three to five days. How can you pick up the pace? Start with a precise and dynamic job description. Create a hiring plan and timeline – and stick to it. Make a list of high-priority qualities and skills that are “must have’s” for a particular position. See what you can do to condense the time frame of your interview process, including only those who are essential in the decision-making process. Keep your candidates engaged by following up with emails to let them know where you are in the decision-making process. When you have made a decision, be prepared to make a competitive offer – it’s probably not the only one this candidate will receive! How can your firm prepare to comply? You’ll want to remove questions about past compensation from any job application forms and interview questions. Instead, consider developing a plan to discuss the candidate’s salary expectations rather than their current and past salary. Salary always has and always will be a major influencer in maintaining a robust legal workforce. While a 3.2% wage increase is predicted in 2018, on average employees earn a 5.2% pay increase when changing jobs (Glassdoor). While many firms are eager to meet the demands of their new hires, they often find that pay for their current employees hasn’t risen much, particularly surrounding low-level positions, filling gender inequality gaps, and regional cost-of-living differences. Keep in mind that replacing an employee can cost up to 400% of their annual salary (ERE Media), so it’s prudent to do everything you can to retain your current workforce. Plus, their engagement will attract more top talent in the long run. However – salary is not everything. With competition for top performers up, the demand for employment “perks” is also high. Firms are offering alternate or reduced-hour schedules and commuting subsidies to lure top professionals in areas like DC, LA and the Bay Area where population is dense. Adams & Martin Group is also seeing an increase in signing bonuses for direct hire positions, and quick conversions from temporary to regular positions. Even if you can’t meet every salary demand, engaging programs and practices are a great way to bridge that gap. For a well-balanced work experience, we recommend a focus on fair compensation, comprehensive benefits, structured career growth, options for work-life balance and flexibility, ample recognition, and actively engaged leadership. These are just a few of the ways legal hiring managers can stay on top of today’s competitive job market. With these adjustments, you can lead the race to find the very best talent for your firm or legal department. Article provided by Adams & Martin Group. The scenery! Check out the pictures. Mike Short of LawVision teaching us how to successfully ride waves! The marketplace is becoming increasingly competitive. How do we compete? The hospitality. This former plantation spoiled us. The closet was almost bigger than my room at home. The food and service was definitely above average. And did we mention the views? Jania Stout from HighTower educating us about 10 things we’re (probably) doing wrong with our firm’s retirement plan management. Cocktails on the river. The weather was perfect and the trees were turning. It was a great way to informally network with our peers. Roundtable discussion moderated by Mike Short: What keeps you up at night? Besides retirement now, a lot of personnel and management issues were discussed. The sharing of information and experience was invaluable! The morning walk with Adele! Adele led us down a beautifully tree-lined road to start our day off clocking 3,000 steps! We wrapped up Saturday with a fantastic talk by Terri Easter on Talent Management. She taught us some new models to use to make sure we are recruiting and retaining the best talent. All in all, we came back refreshed, rejuvenated, and re-educated! "I will say as a seasoned member (since 1996), this was one of the best events I have ever attended. Great speakers, great content and the team building/bonding/networking was wonderful! The committee did a wonderful job making this happen!" The Wye Conference Center was nothing short of a quaint weekend away from the bustling city life of Washington, DC. It almost felt like going to camp, as it was our first retreat adventure. We arrived extremely early which is proof positive of our excitement. As we sat down in the homey meeting room waiting for the first speaker, Michael Short, to begin, fellow ALACC members graced the doorway and quickly found their way to a seat as well. Mr. Short’s presentation on how to identify areas in which our firms need to be forward thinking in today’s climate was informative and insightful. He showed examples on bridging gaps between generations as well as planning for the successful transitions all of our firms will face. Along with useful information his humor was quite splendid, which is always welcomed when sitting in a presentation. Our lunch was enjoyed in a beautiful dining room overlooking the magnificent grounds. After lunch we took a stroll about the grounds and discovered a pier and hundreds of jellyfish! The setting was surreal…orange, gold and red trees lining the shore AND jellyfish! We sauntered back to the meeting room for the second half of the day. The afternoon sessions consisted of retirement and financial planning presentations. These topics are terrifying to most and we were no exception. Jania Stout presented on fiduciary responsibilities geared at the firm level and Patricia Pick presented on financial freedom for the individual. Both had us on the edge of our seats with phones in hand ready to dial up our financial planners to ensure we wouldn’t be working until death! We wrapped up the day's sessions with a round table moderated by Michael Short on “What keeps you up at night?” We can tell you that our first thought of what keeps us up at night was quickly voided and replaced by what we learned in Patricia Pick’s presentation on financial freedom! Nonetheless, our round table discussions were amazing and that is due to the interaction and discussion with our peers. We are so fortunate to have such a wonderful group of colleagues to share our experiences with. Upon dismissal from the round table session, we checked in to our rooms and were amazed by how spacious and inviting they felt. We quickly rejoined the rest of the group on a glorious lanai overlooking the Wye River. Happy hour had begun! We were then ushered into the dining room at dusk and proceeded to have our choice of stuffed chicken, rainbow trout or vegetarian shepherd’s pie followed by dessert and a fabulous networking event. We enjoyed every bit of the food and fellowship. We could have sat and talked with everyone for hours! Luckily, someone said it was bedtime and we retreated to our lovely rooms for the night. The next morning brought (from what we understand) a lovely walk with Adele, followed by a light breakfast in our trusty dining room. Stories and laughter about the previous night’s networking event filled the air while the muffins filled our stomachs. We then made our way back to the cozy meeting room in which we'd enjoyed Friday's sessions. Terri Easter facilitated a deep dive approach to all things HR, specifically talent development and strategic planning. We learned that it is important to understand the uncomfortable truths and facts about our firms instead of only taking the comfortable truths such as the lack of a diverse workforce. Often times law firms seek candidates from top tier schools, but those students in reality lack the firm-specific acumen and talent to succeed. However, with a proper well-thought strategic plan our goals can all be reached. Needless to say, we all had an uncomfortable truth to face as the session concluded: Monday morning was right around the corner. From the roads lined with changing autumn trees to the dock that leads out onto the inlet from the bay, the weekend was refreshing and packed with great information for both personal and professional development. This is definitely an event everyone should take full advantage of as a part of the Capital Chapter. We give it four thumbs up! Recent decisions by the Patent Trial and Appeal Board (PTAB) have given state entities a green light to use sovereign immunity as a defense in Inter Parties Review (IPR) proceedings in certain scenarios. The first decision from the PTAB, which came earlier this year, resulted in three IPR petitions filed by Covidien LP being dismissed before institution based on sovereign immunity of the patent holder University of Florida Research Foundation Inc. (UFRF) (IPR2016-01274, -01275, and -01276). The PTAB first found that sovereign immunity was available as a defense to IPRs. The Board then concluded that, because UFRF was an arm of the state and had not waived its sovereign immunity by initiating litigation against the petitioner Covidien LP in state court, the IPRs filed by Covidien should be dismissed. This first decision demonstrates that state entities who initiate litigation in state court do not waive their sovereign immunity to an IPR that the state court defendant may later file. However, the PTAB noted that “[b]ecause there is no related federal district court patent infringement (or declaratory judgment of validity) case brought by Patent Owner, we do not decide here whether the existence of such a case would effect a waiver of sovereign immunity.” IPR2016-01274, -01275, -01276, Paper No. 21, FN 4). The scope of the sovereign immunity defense in IPRs became more defined in May 2017 when the PTAB decided that an IPR cannot proceed without a university that retains certain rights to a patent because the university remains a necessary and indispensable party to the proceeding. In that particular proceeding, the patent owner University of Maryland, Baltimore (UMB) did not file its Motion to Dismiss until after the IPR had been instituted (IPR2016-00208). The Board found that UMB’s licensing activities with a third party other than the petitioner and its participation in the IPR prior to invoking a sovereign defense did not waive sovereign immunity with regard to the IPR. In addition, petitioner Neochord’s arguments that UMB should not be considered an indispensable party to the IPR since the UMB’s licensee was paying for and controlling the defense of the IPR were unsuccessful. The PTAB, finding that the defense of sovereign immunity was available and not waived by UMB, dismissed the IPR. Likely guided by these two decisions, the Regents of the University of Minnesota (UM) recently filed Motions to Dismiss six IPR petitions filed by Ericsson in March 2017 (IPR2017-01197, -01186, -01219, -01200, -01213, and -01214). The PTAB has not yet ruled on the pending Motion to Dismiss, but briefing by the parties is now complete. Since the fact pattern in this series of IPRs differs from the previous two, the PTAB’s decision will help to settle a question left unanswered by the decision in the Covidien IPRs, i.e., does a state entity waive sovereign immunity for a later-filed IPR by initiating patent infringement litigation in district court? Indeed, this fact pattern involves a petitioner that intervened in a district court litigation initiated by UM involving the same patents challenged in the IPRs. Among other arguments, UM takes the position that “[t]he waiver of sovereign immunity resulting from a state filing a lawsuit . . .applies only to compulsory counterclaims in the same action and in the same forum.” IPR2017-01197, Paper No. 8 at 1 (emphasis added). There are other unanswered questions left by the recent decisions including whether the PTAB’s dismissal of the IPRs are appealable. While the Supreme Court held that the PTAB’s decision to institute IPR is non-appealable in Cuozzo Speed Tech., LLC v. Lee, 136 S. Ct. 2131, 2141 (U.S. 2016)), it left the door open as to the possibility of review of PTAB institution decisions that (i) implicate constitutional questions, (ii) depend on other less closely related statutes, or (iii) present other questions of interpretation that reach well beyond 35 U.S.C. § 314(d). Since sovereign immunity is based on the Eleventh Amendment, institution decisions based on sovereign immunity arguably involve a constitutional question. In addition, it is yet to be confirmed that the defense of sovereign immunity is available in other AIA proceedings such as Post Grant Review (PGR) and Covered Business Method (CBM). However, since these proceedings have strong similarities to IPRs, it is likely the defense will also be available in PGRs and CBMs. In short, the future looks promising for the use of sovereign immunity as a defense in AIA proceedings. The PTAB’s decision in the Ericsson IPRs and any appeals to the Federal Circuit from these recent and upcoming decisions will help to draw a more complete picture. That’s why Margaret Moss, assistant dean of diversity and inclusion for the University at Buffalo School of Nursing, and 12 other contributing writers — nine of whom are also American Indian nurses — published American Indian Health and Nursing. Released in December, it is the first textbook focused solely on providing care to this underserved population. “This book was written to answer the disturbing lack of information and understanding of the most underrepresented group in America — as patients, health professionals, and in academia,” Moss said in a statement. Currently, less than 1 percent of nurses are Native American. She writes in the textbook that disparities in healthcare policy and environmental, historical, and geographical factors have all contributed to Native Americans’ health inequality. For example, of the roughly 5 million American Indians in the U.S., 78 percent live off of reservations, and more than half of that population live in cities, where they are more likely to receive care from non-Native nurses, leading to an increased occurrence of discrimination in care. On the other hand, those who live on reservations have limited access to resources and healthcare due to geographical isolation, and the impact is tremendous; for example, the life expectancy for men on the Pine Ridge reservation in South Dakota is less than 50 years. Moss says a distrust of government based on historical events, as well as low high school and college graduation rates among American Indians, further contribute to their poor health outcomes, especially when it comes to mental health issues. The textbook takes a holistic approach to Native American health by looking at the topic through spiritual, mental, physical, and emotional lenses to develop culturally sensitive nurses. Creating trust between patient and provider is also paramount to the textbook’s goals. The FTC stressed that it is imperative that trademark scams be reported, noting that “if we don’t get complaints, we won’t know and can’t do anything”. That said, many of these instances go unreported because the victims have already lost money and do not wish to admit that they have been tricked. Should a seemingly fraudulent solicitation of this nature be received, both the postal service and FTC representatives stressed the importance of keeping the envelope in which the solicitation was received and a copy of the cancelled cheque for the lost amount. The US Patent and Trademark Office (USPTO) has taken steps to alert potential victims of these activities, including providing information to trademark owners during the registration process, maintaining a webpage describing the problem and providing a list of entities known to have made fraudulent solicitations, as well as an email address (TMFeedback@uspto.gov) for suggested additions to the list. The USPTO has also produced a video highlighting the potential harm posed by non-USPTO solicitations. The USPTO and the Trademark Public Advisory Committee (TPAC) recently hosted a public roundtable entitled “Fraudulent Solicitations to Trademark Owners.” It was chaired by Mary Denison, Commissioner for Trademarks and the opening remarks were provided by Joseph Matal, who is performing the functions and duties of the undersecretary of commerce for intellectual property and director of the USPTO. Members of the public were invited to attend and participate at the event. Speakers included both outside counsel and corporate practitioners and representatives of other organizations. Over recent years many US trademark application and registration owners have increasingly been solicited by questionable entities offering unnecessary and, in some instances, non-existent services in connection with US trademark protection. These entities – which have obtained trademark information from the USPTO public databases – use official-sounding names such as "the US Trademark Compliance Office" in order to deceive trademark owners into believing that they are being contacted by an authorized governmental entity, and that the services offered are necessary or at least highly desirable for proper trademark protection. The solicitations request payment (in amounts far exceeding the norm for US practice and frequently within 14 days to instill a sense of urgency) typically by cheque or bank transfer. In some cases the services are never provided and in other cases the services prove to be dubious and unnecessary. These solicitations are typically received via US mail from US and European locations. It is common for the scammers to open a PO Box and send out 10,000 solicitations in the hope of getting 150 responses (i.e., payments). Matal advised attendees that “we all need to work together to corral and fix this problem”. Representatives from the US Department of Justice (criminal division, fraud section), the Federal Trade Commission (FTC) (division of marketing practices), the US Postal Inspection Service, the US Customs and Border Patrol and the Small Business Administration were on the panel. The USPTO has worked with all of these groups in an attempt to combat the fraudulent solicitations. In early 2006, the Department of Justice secured criminal convictions in the federal court in the Darbinyan case on charges of mail fraud, money laundering, conspiracy and other crimes in California related to one of these scams. That scheme defrauded more than 4,400 trademark owners out of $1.66 million. The crucial evidence in the Darbinyan case was the fact that although victims in several instances were assured that their US trademark registrations had been recorded with Customs and Border Protection (a simple procedure that can be done online for $190) for amounts far exceeding the actual cost, the customs database demonstrated that the registrations had not been recorded. It is ironic that a $1.66 million fraud scheme was uncovered by the failure to spend $190 on a customs recordal. The best advice for trademark owners receiving one of these letters and/or invoices from anyone other than their trademark counsel, is to contact their trademark counsel or the USPTO to establish whether the solicitation is legitimate before making payment to any third party. On October 11, 2017, the Education Committee hosted the Chapter's second HR Retreat: Maximize Your HR Strategy with the 3 R's: Recruit, Retool and Retain. The half-day retreat featured two excellent speakers, an outstanding panel, and a delightful interactive exercise. Thomas McCally, Esq., Carr Maloney PC, presented a HR Town Hall – Let Your Voice Be Heard & HR Updates presentation. 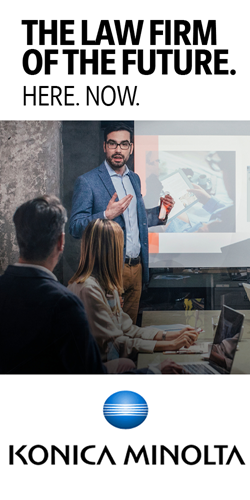 The presentation focused on hiring to firing, and everything in between, including various employment laws and regulation that can expose employers to significant liability. He discussed the effect of the minimum wage increase on interns; the legal pitfalls and major issues surrounding employee engagement programs involving employee volunteerism and corporate philanthropy and what to expect about the DC Universal Paid Leave Amendment. Attendees also had the opportunity to ask their own employment law questions. Chris Jones, Branch Manager, Adams & Martin Group and Marina Wikner, Esq., Director Permanent Placement Services, Robert Half, presented a panel discussion on Legal Recruiting in a Shrinking Talent Pool. Their discussion explored new and creative ways to recruit in an increasingly talent-short market by reaching out to candidates outside of the traditional legal industry arena. They discussed strategic ways to recruit for today’s workforce by recruiting candidates that have skills that can be transferrable to the needs of the legal industry and to broaden the employment search scope to include qualified candidates that competitors typically overlook. The half-day session ended with an interactive and informative exercise – What Would HR Do? Presented by fellow Capital Chapter HR professionals: Cindy Schuler PHR, SHRM-CP, Chief Human Resources Officer at Sterne, Kessler, Goldstein & Fox P.L.L.C. ; Carmen C. Barboza, Human Resources Manager at Hyman, Phelps & McNamara P.C. ; Alana Harder-Washington, SHRM-CP, Human Resources Director at Sidley Austin LLP. The interactive session presented some unique (and occasionally shocking) situations that actually occurred and gave attendees the opportunity to discuss the situation and provide solutions on how they would handle/resolve the situation. After group discussions, the actual decisions that were made to resolve the situation were revealed. Please visit the Capital Chapter website to view the handout material and articles presented at the HR Retreat. On October 18th, Capital Chapter members and Business Partners met at Carmine’s Restaurant for the final Quarterly Networking Lunch of the year. Attendees mingled in the dining room before taking their seats for a family-style Italian meal. After enjoying plenty of pasta and conversation, guests were again greeted by Chapter President Richard Gibson, who introduced our “Thumball” conversation activity. In an effort to foster an atmosphere of inclusion within the Chapter, the Diversity & Inclusion Committee facilitated an exercise with the "Common Ground" thumball at each table to help members and Business Partners get to know one another and foster an understanding and appreciation of what makes each person at the table unique. The exercise resulted in conversation, laughter, and many new connections and attendees discovered a different side of their dining companions. Thank you to everyone who attended our final Quarterly Networking Lunch of the year. We look forward to another year of making connections over great food in 2018! On October 10th, Matt Logan of JK Moving Services, along with Michael Hartman and Marcy Trepke of DBI Architects, Inc., presented Workplace Strategy and Cultural Change to the Branch Section of the ALA Capital Chapter. 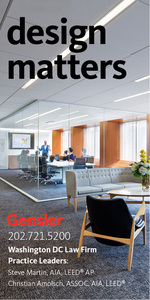 The presentation covered the growing trends of law firms shifting from personal offices to shared spaces and how to manage and facilitate change both from an office relocation aspect, as well as from a human capital aspect. In addition, Leland Atkinson, chef and owner of Sinplicity Catering presented information about his catering company as well as provided an amazing spread for the meeting. Joining the legal community can be intimidating. The pace is swift. The people are important. The work is unique. The stakes are high. Our community is supportive, collaborative, and critical to the value we bring to our organizations. 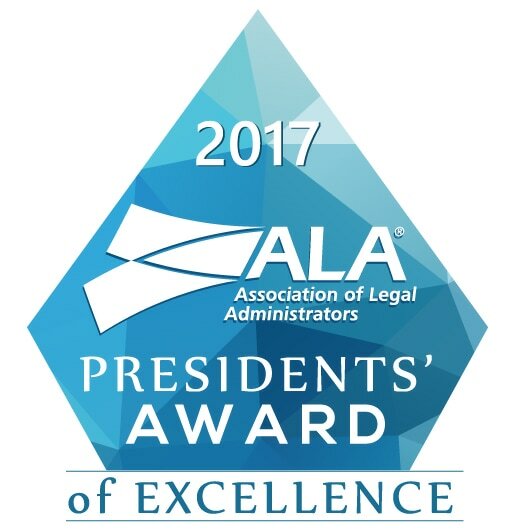 The ALA was instrumental in my acclimation to the D.C. legal community and providing value to my firm. If phone calls still cost a dime, I would have gone broke in the first year calling ALA members and Business Partners to ask questions about every aspect of legal management from insurance policies to compensation strategies to the price of paper. The knowledge in our community is breathtaking and the generosity is humbling. Our Business Partners are an essential part of this community. The business of legal management is a big one. The Legal Executive Institute recently estimated the size of the US legal market at $437 billion. That’s billion with a B. [http://legalexecutiveinstitute.com/the-size-of-the-us-legal-market-shrinking-piece-of-a-bigger-pie-an-lei-graphic/] Supportig this industry is, in turn, big business. Navigating the maze of the legal support industry is made exponentially easier through ALA’s Business Partner program. I can turn to a Business Partner rather than searching the depths of the internet for a trusted source. Whether I need information about cyber security insurance or a partner to consult on my IT security program, I can turn to ALA for a trusted partner. Because they are experts, I don’t have to be. This story rings true throughout the legal community. This partnership and collaboration shouldn’t be taken lightly. That we have such a robust network of members and Business Partners working together to make each other successful is a rarity in the professional world. If you are not taking advantage of the tremendous resource of our Business Partner network, you are working harder than you have to. Make your job easier today. Call a Business Partner and start a conversation about how they can help you. 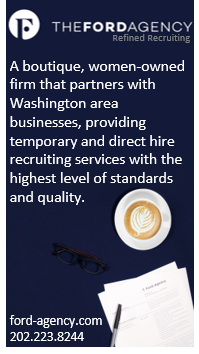 Hilltop Consultants, Inc. provides the most complete managed IT solutions to small and mid-sized law firms in the greater Washington DC Metro area. Hilltop is a locally owned managed service and cloud service provider with its office located in North West Washington, DC. The 24/7 Hilltop InSight Helpdesk is the most responsive in the area. 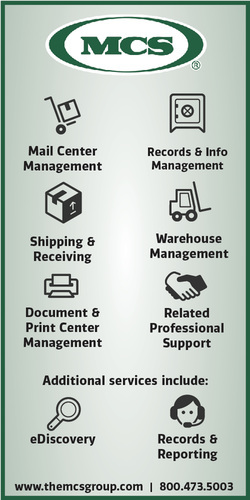 Our team holds certifications in many popular document management and time and billing systems. Capital Connection: How long has Hilltop been a Capital Chapter Business Partner? CC: What have you found to be the most rewarding aspect of being a Business Partner? Jim: What works well for Hilltop is the way ALA encourages and facilitates interaction between ALA members and their business partners at networking, educational, social and community oriented events. Compared to other business associations the ALA places great emphasis on building relationships from which springs opportunities and benefits for ALA sponsors. CC: How has your sponsorship of ALA aided in your organization’s success? Jim: Our ability to interact directly with over 350 members in multiple forums has provided business development opportunities with an ever-expanding number of clients. We engage and support firms with a catalog of services from multi-year service agreements to special projects. A significant percentage of Hilltop’s revenue derives from the work we perform for our ALA clients. We have also begun to take advantage of International ALA’s business partner benefits and have expanded our business into other ALA markets including Atlanta, GA.
CC: Do you have one standout experience of your time as an ALA Business Partner? Jim: When Joe Berger was the ALA Capital Chapter president and the ALA National Conference was at the Gaylord at National Harbor, MD. Joe found Dot Mooney circulating through the exhibition hall, took her by the hand saying I have someone very important you just have to meet and led Dot over to the Hilltop booth and introduced her to me. I find these types of interactions and personal referrals commonplace with ALA members. CC: We are constantly seeking feedback from our business partners about the Business Partner Program as we strive to find ways to improve the program. What constructive feedback would you like to provide the Chapter? Jim: Hilltop has presented to several ALA sections including the Branch Office and Small Firm sections and we have worked with Frank Schipani to provide subject matter expertise to the educational meetings of the Technology section. We would enjoy receiving evaluative surveys from these section meetings to better understand how the material was received by participants and help us better tailor the information to better serve ALA members. CC: Thank you very much for participating in this interview and for your continued support of the ALA Capital Chapter.